Featuring a cast of luminaries including Winston Churchill and Ronald Reagan, General Pinochet and Jeremy Corbyn, this brief, beautiful and completely inaccurate illustrated biography of Britain’s first female Prime Minister promises hours of creative gratification. 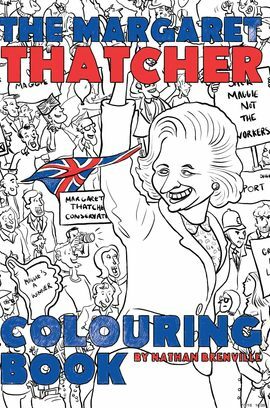 Whether your burning passion for the great lady was first inspired by her staunch defence of British industry, her forthright approach to the miners’ strike or her enthusiasm for cutting public spending, The Margaret Thatcher Colouring Book has it all. *CRAYONS NOT INCLUDED to protect your freedom of choice.